On the first day of June we decided to get clear away from office, computers, books, and other projects. My husband and I felt a hankering for bird watching and wildflower viewing. So we drove out to the Pawnee National Grassland, bringing our dog, Jasper, with us. This mile-high, protected habitat on the prairie of Northern Colorado provides nesting ground to a colorful variety of migratory birds. Some years the grassland—a vast solitude under changing skies—is hot and dry. This time. after a wet spring, we found it cool and green. Wildflowers dotted the native grasses. Prickly Pear had started opening their blooms. And the birds! They foraged in the grasses, perched on fence posts, did aerial gymnastics to catch flying insects, scratched in the sandy roadside, hunted from the sky, and paddled on small ponds. We identified 25 bird species, including Vesper Sparrow, Prairie Falcon, and Loggerhead Shrike. At one point along the gravel road we spotted a bird that looked like a miniature roadrunner. It ran on the ground with its tail held high. We watched it through binoculars and checked our bird guide (and the birding app on my cell phone, the only technology we used that day). It appeared to be a Sage Thrasher. Then the bird lifted into the air and we thought our chance to observe it was over. But it landed on a fence post just ahead of where we had stopped our car on the narrow road (The occasional approaching car or pickup could be seen miles away, in plenty of time to pull over). In the wonder of this bird perching and singing so close to us, we felt even more connected with nature around us. King David said, “He leads me in green pastures and beside still waters. He restores my soul” (Psalm 23). That night, after a day of birding on the prairie, when I lay my head on the pillow, I began to realize what a gift I had brought home with me from the grassland. When I closed my eyes, my mind wasn’t filled with a screen through which virtual images came at me. No. Instead, I was still among the Lark Buntings, Horned Larks, and Longspurs winging, swooping, twirling in the air. I was still surrounded by the songs of Meadow Larks, Brown Thrashers, and Mountain Plovers. I was still watching Swainson’s Hawks soar on high and kite in the breezes. I was still enjoying the yellow, blue, and red wildflowers and smelling the sweet grasses. With these images, sounds and smells came a peaceful, delighted and deep sense of Presence—the presence of our Creator, the Restorer of our souls. Gifts are always better when shared. To my surprise, when Larry got in bed and turned off the light, after just a few moments he remarked, “I’m still seeing birds.” Lying side by side in the darkness, we compared notes and agreed that it had been a wonderful day. A special sense of attunement and restoration has stayed with me—even as I type this at my computer. If only we could get away for a while to some quiet, sacred place and find rest, renewal, and transformation. Surely, then, our writing, as well as our lives, could be revolutionized. But our lives are so daily. Made up of moments piled on moments, experiences both planned and unexpected. Perhaps, though, your daily routine includes habits that you don’t even view as being a “spiritual exercises” but that are gradually giving you the perspective you crave. That was the case for me. To speak or write effectively to others, in a way that reaches hearts as well as minds, we must speak and write from our hearts. But first we must get in touch with our own hearts. I’m going to share with you a way I found to do that. the way the phrases, rhythms, and rhymes of a poem came together. These moments I treasured in my heart; they gave me hope and a sense of anticipation for the next day, to see what the next day’s moments would bring. It is good for the soul to embrace and hold to the life-giving, consoling moments of our days. And over time, we can observe patterns and learn what we really should focus our energies on, because God indeed speaks to us through the experiences of our days; He wants us to experience His life and joy and consolation in a way that will flow out of us to others. By practicing the Examen you may even discover your unique gifts and calling. As a Christian writer, this practice and the resulting insights indeed could revolutionize your writing. Rather than laboring to write something you think you ought to write, or that others seem to expect, write the form, subject, theme, and style that engages and expresses your heart as well as your mind, that fills you with consolation, hope, joy, help, and fulfillment. And most likely what you write will do the same for your readers. We need to perceive the Truth. Yet, darkly we peer through the glass. That I may wash windows for You. The pane on this side. This marshy field teems with life. When our car speeds by it, though, we don’t notice or experience the wildlife hidden in the grasses, wading in the mud, singing from the reeds. One day we stopped our car, rolled down windows; looked through binoculars; listened, felt, smelled; tasted the breezes. Myriads of bird life, colors, textures of fauna and flora brought the place alive to us. Good writing does that also: draws in the reader, reveals hidden things, opens possibilities. Well, yes, I do! The better-written a manuscript comes to me, the more I like it. Here at Cladach we may resonate with the premise and material of a nonfiction manuscript—we may like a novel’s characters and plot—so much that we are willing to devote the editing time needed to bring the writing quality and style up to these standards. We may ask an author to go back and re-write/revise/re-work a manuscript. Then we also do in-house macro editing, line editing, and copy editing. The following list gives most of the elements of style and “good writing” that we look for in a manuscript and strive for in the books we publish. Here’s how to give your writing pizzazz so readers will want to invest in it, engage with it—be entertained, convinced, and inspired by what you say. Check your writing against this list to make sure it communicates as clearly and persuasively as possible. 2. Write in the active voice. Choose strong, active verbs. 3. Write concretely, rather than abstractly. Show, don’t just tell. Appeal to all the senses. 4. In nonfiction as well as fiction, use storytelling as much as possible. 5. Stay in a definite, consistent POV. Through whose eyes is the reader seeing? 6. Hook the reader on the first page/ first paragraph/ first sentence/ first word. 7. Keep the reader’s attention as each word, each sentence, each paragraph, each chapter leads to the next. 8. Maintain a logical or chronological flow of thought or action. Use transitions when needed. 9. Strive for precision and conciseness. Cut extraneous/ repetitious words and phrases. Less is more. 10. Give thought to word choices—consider subtleties, connotations, nuances; find the zing and zest of the right word. 11. Vary sentence structure and length. Use periodic sentences often (as in these examples). 13. Use your ear. Do the sentences flow well? In fiction, is that how people sound when they talk? Try reading your writing out loud. Do you ever doubt your abilities as a writer? Have you almost given up on getting published in today’s competitive market? Do you hate the “slush pile” and wish you could talk to an editor one-on-one? Are you secretly terrified of the idea of building a “platform”? Do you feel like you’re all alone in your writing adventure/struggle? Is it really worth hanging in there for the long haul? Is there a desire burning in your heart to write words that will potentially lead others to Christ? Master the craft of writing. Okay, no one will ever achieve that lofty goal. There’s always more to learn. But as one conferee said, the Colorado Christian Writers Conference is equivalent to a semester college course in writing. A faculty of 56 editors, agents, and authors will provide instruction for wannabe and advanced writers of fiction from Christian speculative to historical, point of view and voice to making a scene. Nonfiction writers will find help for writing Bible studies, memoirs, articles, and much more. With 59 workshops and 8 continuing sessions to choose from, there really is something for everyone. Face to face opportunities to pitch your work to editors and agents. In today’s publishing world the only way to connect with many agents and editors is through meeting them at a conference. Those who register for Thursday through Saturday are entitled to FOUR 15-minute one-on-one appointments with the faculty of their choice. You’ll find lots of helpful info on how to prepare and make the best choices by clicking on One-on-One at http://colorado.writehisanswer.com. Friendships with other writers. Writers connect deeply with one another faster than I ever have in the chit-chat before and after Sunday-morning worship services. A key verse that I’ve sought to follow is 1 Thessalonians 5:11, “Encourage each other to build each other up” (TLB). It happens every year at CCWC! Inspiration and encouragement to keep on keeping on. Louise Looney is well qualified to teach the workshop, “Still Climbing – Not Over the Hill.” Since turning 75, she has written four books. Allen Arnold’s continuing session, “From Overwhelmed to Creative Breakthrough,” will provide a refreshing journey for anyone who feels disheartened. And, of course, we also offer eight inspiring keynote addresses and times of worship. And the Number 1 Reason to come to the Colorado Christian Writers Conference: Renew your faith and passion to “write His answer.” Each year Father meets us on the mountain and challenges and equips us to write about a God who is real, who is reachable, and who changes lives. There’s still time to register and to request appointments. Housing is still available at the YMCA – Estes Park Center. Thanks to the Y’s spacious classrooms, none of the workshops or continuing sessions are filled. For much more info and secure online registration go to http://colorado.writehisanswer.com. If you need time payments or scholarship help, please ask. Email me at mbagnull@aol.com or call 484-991-8581. Today I’m sharing a guest post written by a friend, a retired pastor who writes encouraging, daily meditations for his Facebook followers. This kind of writing takes discipline and a heart that is attuned both to the Lord and to people and their real needs. Writing is good for spirit, soul, mind. I don’t mean texting or e-mailing. I mean paper, pencil, and eraser writing. Because it’s slow. You have to be thoughtful. There is time to choose words, create effective phrases, eliminate unnecessary words, refine thoughts, evaluate what you are saying. I think it was my friend, Jim Copple, who said to write something every day. In writing, spirit, mind, and soul get to breathe deeply. A spark of thought grows into a flame, and I grow. Having lighted a candle, I may pass the little flame on to whomever may need or find it useful. Write something every day. No, not a “to do list.” Write a prayer, a personal note, a journal entry, or even just random thoughts. Paper and pencil have advantages over lighted screens and keyboards. A writing, praying, thinking place in your home is also beneficial. What could it hurt to give it a try? I’m collaborating with one of my granddaughters here. We finished our salads and chocolate mousse at the corner cafe and, after a merci beaucoup to the waiter, stepped across the old street of Paris. We had come to France to visit our missionary son and we had an opportunity to be sightseers in Paris. On our first full day in the city of lights, we had decided to walk from our tiny hotel near the Eiffel Tower, find a place to eat lunch, then head toward the River Seine. We stood at the open corner of a small park, examining our map. Finding our location on the map, we turned toward the direction of the river (we thought). Before we could take a step in that direction, a small, middle-aged French lady appeared at our side. Perhaps she was a Parisian housewife out shopping for the day’s bread and vegetables (earlier we had seen narrow streets lined with open-air markets of fresh produce and flowers) though she wasn’t carrying anything. She wore a simple, colorful dress and a cardigan sweater missing a button. She smiled, her eyes twinkled, and she said something in French. We didn’t know how to respond, so she reached for our map. Somewhat startled, we handed it to her. She examined it for a moment then pointed to something on the map. We looked. “Yes, the river. That’s where we want to go,” I said in English, as we all still faced down the street. Even as I spoke, the helpful little madame, still clutching our map, turned 180 degrees, stretched forward her arm, and decisively pointed in the opposite direction. We laughed with slight embarrassment, and with genuine gratitude we practiced our merci again. The lady returned the map to my husband, and she was gone. The memory of her smiling eyes has lingered with me. I don’t know how far we would have walked before we realized we were going the wrong way, but I’m sure our day would have turned out differently. The special surprises we found along our walk that day wouldn’t have happened. Every morning, as Christ followers, we pray and ask the Lord to guide us through the day. Then we start out going in the direction that seems right, whether in business, ministry, relationships, or activities. If the Lord sends someone or something to get our attention and point us in a different direction, we need to leave our own ideas, turn around, and go the other way. Later, we’ll be glad we did. 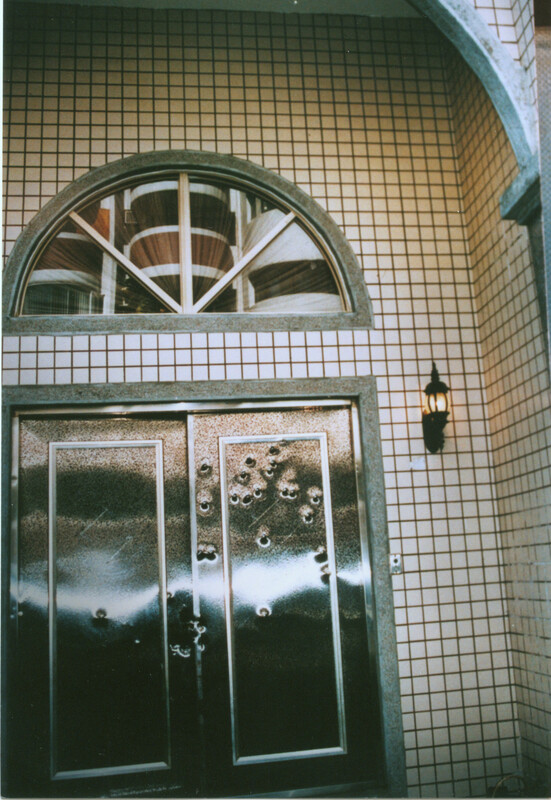 Bullet holes in the front door of the Alexander’s home in Taipei. Two members of the family were used as human shields and shot in police crossfire. Yet the Alexanders forgave their terrorist captor and helped lead him to faith in Christ before he faced execution for his crimes. Do you think this is a good motto for a Christian writer? And maybe for a Christian reader? Jesus gave comfort to the afflicted. He saw the real needs of individuals and responded in love and power. Today, the Lord works through his people to give comfort to those who are burdened, oppressed, and bereft; to build up others in love and faith to sustain them in the difficulties of life. On the other hand, Jesus often unsettles us—afflicts us, if you will—with his words and actions. He criticized the religious and political establishments. He gave his time and attention to the weak, the sick, the unlovely, the powerless. He spoke directly to the heart. Does the Lord want to use you as a writer to challenge and unsettle those who are insulated in ease? Perhaps the Lord wants to remind us of his call to feed the hungry, heal the sick, comfort those who mourn. To be used this way, you may need to let him move you out of your “comfort zones” of shallow thinking, self-protection, and playing it safe. Read Jesus’ Sermon on the Mount. Read the Acts of the Apostles. 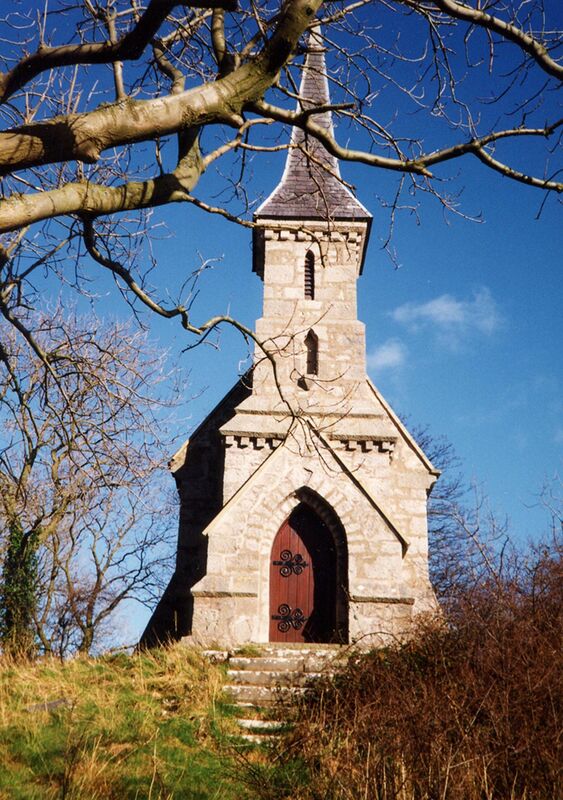 Read about the lives and deaths of the early-church martyrs. Read about Christian persecution and martyrdom in the world today. John and Judy Pex’s story of their work in Eilat, Israel. Reading about the Pex’s 30 years of personal evangelism in Israel can fortify you with the desire to live out the life of Jesus, perhaps even opening your home, your arms, or your prayers and giving to reach others with God’s love. Stories of Christian refugees fleeing the genocide in south Sudan will disturb your ease but may also give you perspective on the troubles you face. Reading about the Alexander family’s hostage experience at the hands of a Taiwanese terrorist may afflict you when you realize what evil there is in the world and what sufferings God allows his people to go through; or the Alexander’s story may comfort you to see how they were able to show love and salvation to the very man who caused them great bodily injury and emotional harm. Now a word to readers: Open your hearts to what our Lord, who himself comforts the afflicted and afflicts the comfortable, may be saying to you. Don’t just read books that offer escape and make you feel good and even more comfortable. Read books that challenge you, maybe even afflict you with a desire to show compassion. I hear writers bemoan the demands and distractions in their days (including technology) and how hard it is for them to achieve balance in their lives. Perhaps you’ve felt that, too. You’re working at the computer and think you’ll just check Facebook for a few minutes. An hour later, you wonder where the time went. Or you hear the musical tone that tells you new emails or text messages have arrived on your cell phone. You were just about to focus in on the theme of a blog post you’re preparing to write. You touch your phone screen, read the text and one thing leads to another. Let’s see, where did that inspiration, that thought, that focus go? I ought to read more, pray more, call so-in-so, go shopping, attend those meetings, deep clean my house/office, sort through papers, watch those recommended movies, re-decorate my house, exercise more … while tweeting, blogging, posting, submitting copy to editors. So, how do we achieve “balance”? Or, is that even the right question? Demonstrating his teaching, Allen presented a creative, God-breathed message that brought clarity to my mind and both piercing and encouragement to my heart. In fact, the heart was his theme. “Infuse Your Creativity with Heart” was his topic. “Nothing great was ever achieved without great heart,” stated the workshop blurb in the conference program. “Yet writers often become disheartened, discouraged or overwhelmed” (that’s where I started this post, remember?) “and when they do, their stories slowly begin to die.” Allen’s workshop promised to tell us “how to discover the truer you, consecrate your creativity, and feast on hidden Spiritual Manna.” He delivered on that promise. If writing and connecting with readers to encourage them, lift their sights to Jesus, come alongside them, instruct them in the living Word, bring them hope through a well-told story, is what gives you life … then this may be what the Lord is calling you to do; and to live out this calling, you will have to let some other things fall away. Tend to your heart. Then write and connect and live a “wildly unbalanced life” in—and flowing out from—the presence of Jesus. Update: I recently got Allen Arnold’s book, The Story of WITH : A Better Way to Live, Love, & Create. I recommend it! ~ C.L. Receive Blog Posts by email.